The Sweden based international Printing Group Elanders AB is ready to expand and re-invent the print business. Magnus Nilsson, since 2009 President and CEO, shares his knowledge and explains the targets. It’s the very first time that we can learn how the digitization is changing the way we have to manage a print business! What was the secret of Elanders AB’s success in the last year 2011? Magnus Nilsson: The secret of success was that we focused the cost aspects: We consolidated our production facilities in several countries to utilize Poland and Hungary for low-cost production to produce for the German and Swedish market. So we were able to manufacture on an excellent industrial standard level: higher productivity, more shifts and so on. Customers today don‘t care about where we produce. They want suppliers which are cost efficient. But this was only the first step to strengthen our commercial printing business. The next step was to push personalized print services and to enter the packing market, for us a new challenging market with big growth opportunities. And last but not least through our latest strategic acquisitions of d|o|m and fotokasten we have access to web-to-business and e-commerce solutions. Does this approach influences the structure of your customer bases? Magnus Nilsson: It opens Elanders up for new customers. Via fotokasten and its photo print services we get access to 400.000 consumers as new customers. This is an interesting base for growth. Because we got a lot of knowledge we could use to develop existing customers. Most of them are well know brands and own an end-consumer business. So we combine their world with our extended products and services. A good example is Ritter Sport where we bring packaging, digital printing and web-to-business-services together to create personalized chocolate packages. What impact have the main stream digital technologies on that? Magnus Nilsson: Since many years digital technologies are a key driver for the print industry to create new applications in combining web services and on-demand print product solutions. If you know how to handle the complexity of the media mix you will win. I am not anxious about print as a medium. But this development will touch the core structure of the graphic arts industry. Lots of small and medium size printers won‘t be able to transform there businesses like we and some others did it already. You have to change to hit the market and customer needs. So the digitization will change the way we manage a print business? Magnus Nilsson: Sure. On one hand there is a hugh demand for web-to-print services and automized production workflows. On the other hand this is not enough. You could compare it to the world of Internet Banking. In the first step this was a web-centric digital business. In the mean time some of the ”Digital Banks“ in Sweden opened up small offices to serve and consult customers on a personal, face-to-face level. Actually we make the same experience: customers rely on our web-based print services and they use our services and digital production competency for a global production and services support. 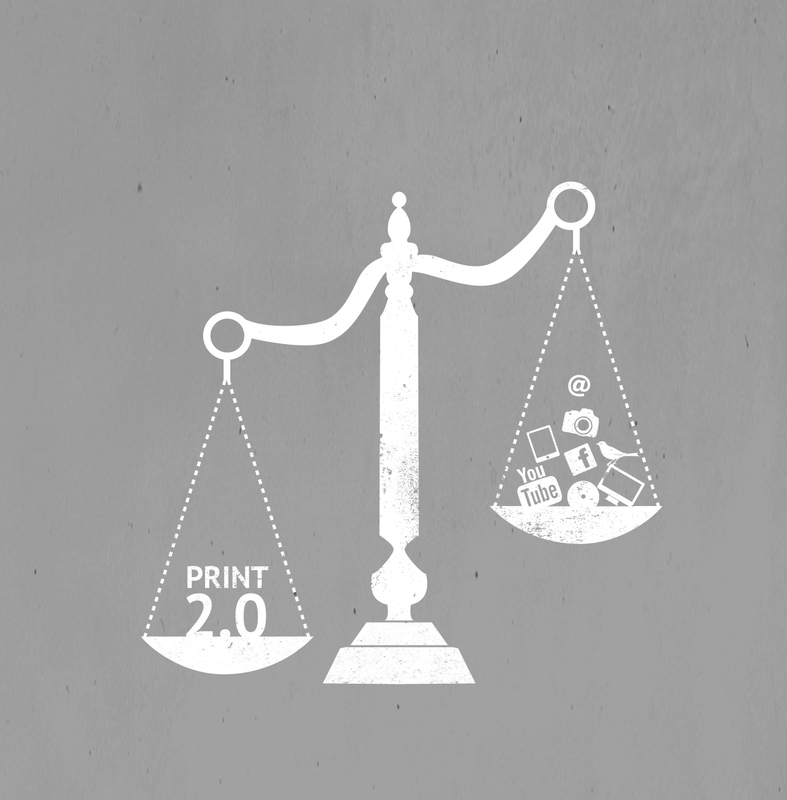 Digital competency helps you to manage your print business in a much better way? Magnus Nilsson: Yes, indeed. We have at Elanders that slogan ‘Your worldwide printing partner’. It covers also the dimensions beyond printing. For one of our biggest customers – I can‘t disclosure the companies name – we established a digital platform to manage there commercial print communication demand in all parts of the world. They are dealing with 3.000 retailers around the globe. Our platform guarantees a seamless ”distribute and print”-approach. Because a marketing manager i. e. in Canada could initiate digitally the production order to deliver printed marketing materials to the U.S. which will be printed by Elanders in the U.S. That means we can compete in a much better way with all the local printers which are not able like Elanders to server there customers on a global bases. By the way: Its not only about web-based production services. Everything is connected, like electronic invoicing to the customers own web systems. Magnus Nilsson: We want to transfer those capabilities Elanders provides for commercial printing to our packaging offerings. We want to become a global packing supplier offering one-shot global solutions. This will change our business approach and the culture of Elanders. To handle innovative technologies is not the question any more. Our biggest challenge means to recruit the right people. Therefore we started last year a trainee program to train people coming from other areas than print. We do not want to make the same mistake like many printers did in the past to be machine- and technology centric. Our customers expect quality, reliability, enhanced services and a good knowledge beyond printing. What are the key benefits for your customers in the future? Magnus Nilsson: First of all global production and delivery services for commercial print and packaging on a fixed price agreements for the different areas in the world. Our customers don‘t have to search for local suppliers anymore, which costs always a lot of time and money. Second we will be able with our web-to-business approach to be a partner for our customers to develop specific and innovative solutions for individualize products. We will build web-shops, we will program Apps, we use all the new ways which make marketing much more effective. I am in a good mood and very optimistic about the future. Because we found a way to balance cost efficiency and innovative exciting solution development to make our customers even more successful. We know what‘s going on to bring a higher value to print communication. This relates to the structural change caused by the digitization. And I think our strategy by targeted and customized global print services and web-to-business solutions is very unique. Elanders’ smart video on YouTube!